Home Recipes Baking Recipes Ensaymada recipe: now softer and better than ever! This has been long overdue and finally I’m posting a better version of my first ensaymada recipe. This recipe uses mostly egg yolks, butter and milk. Other ensaymada recipes use shortening, I don’t and I refuse to. After all, everything is better with BUTTER. Since altering my first ensaymada recipe, I’ve always used this recipe and it hasn’t failed me. 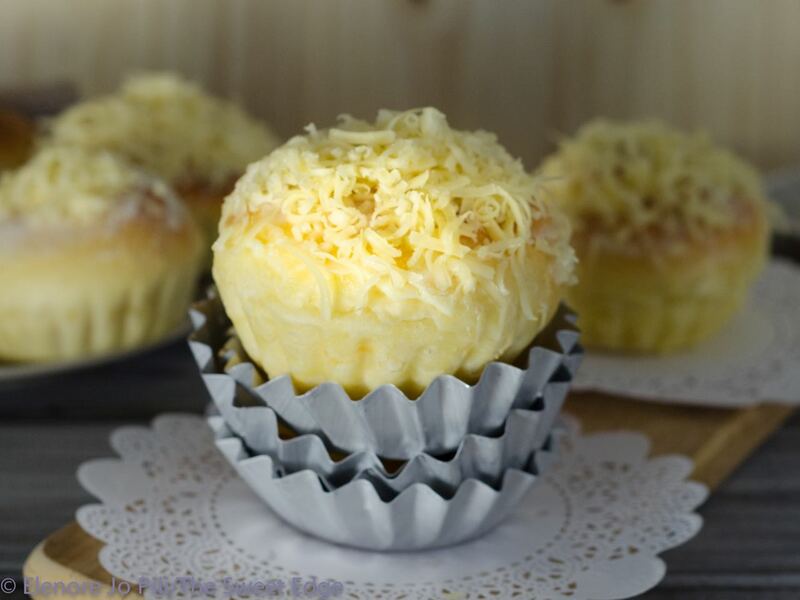 For the ensaymada make-up, the cheese I use is Gruyere, it’s one of my top fave cheeses. If you prefer edam, asiago, cheddar or queso de bola – go for that and be generous when you slather that butter and sugar. Recipe is below. Happy baking! Warm the milk with butter, brown sugar, the vanilla and salt. Best to set the stove on low – low medium, this way it does not scorch the milk. Once the butter has melted, remove from heat. Set aside. Place the half of the flour and the yeast in the bowl of the mixer. Using the paddle attachment beat at low speed and add the slightly warmed milk (shouldn't be hot, this will de-activate yeast) in a steady stream. Beat until smooth. Continue mixing until the dough forms and is no longer sticky or until the dough pulls away from the sides of the bowl. (You’ll notice too that the sides of your bowl becomes “clean-ish”). Transfer the dough into lightly oiled bowl to proof. Cover it with a damp cloth and wait until it doubles in size. It takes about an hour to two hours. Once the dough has risen, knock it down. Divide the dough into small equal parts 2.5″ – 3.5″ diameter ball, depending on how big you want the ensaymada to be. With a rolling pin, flatten out dough to about 6-8” x 5” rectangle. Brush the surface with softened butter. Add grated cheese and sugar and then roll it up. Keep in mind to seal the ends. Now you’ve rolled it into a log, curl it into a coil. Place on slightly buttered muffin pan or brioche pans or baking pan. Let rest for about an hour or until it doubles in size (yet again). Bake at 325F for about 30 - 35 minutes. Once done, let ensaymada cool and finish with butter, sugar and cheese. Hi there! In your ensaymada recipe, are you using all purpose flour or bread flour?